I’ve spent part of the past week in Vacation Bible School at my mother’s church and seen a whole lot of happy and active children…really active children. Her church is a small church in a rural area of the county, so it doesn’t have a lot of populated areas to draw from, but each year we learn that the numbers don’t matter. For all the large churches that have hundreds of children in VBS, there are many more small churches that may only have a handful of children and dedicated workers. This is my mom’s church. Each class had a teacher and a helper that made sure that each child left each day knowing that God loved them and has a plan for their lives. They left each day knowing that there were teachers and helpers at a church that loves and cares for them. And they learned about God’s plan for them. On Friday, each class has the opportunity to share in the final joint service where parents are invited something about their week in VBS. Our third and fourth grade class spent a lot of time learning the books of the New Testament by heart and learning how to do a Bible Drill. Those kids were so excited to learn and could have spent the entire three hours just learning more about their Bible. That is what the school is about. Knowledge of the Bible is great, but you need to know how to use it and to find what you want. The most spirited part of the program was from a preschooler. There was only one child all week, but that didn’t deter her teacher from giving her a personal learning experience about her God. This little tiny preschool girl stood up in front of the sanctuary with a voice confident enough to be heard throughout the building and said her memorized Bible verse. “Be strong and don’t be afraid because God is with you!” This must have been her favorite because her voice shouted and her little head and pink beads were jiggling all over. The next day, my family and I were involved in a horrific car wreck in Stockbridge. We were rear-ended by someone not paying attention to our stopped car and after several scary moments, we ended up nose down in a ditch. No one in either car was seriously injured, but it was obvious that God and His angels had put a hedge of protection around all of us. My mom was in the back seat and got the worst of the hit, but after a lot of tests at Piedmont Henry ER, we were discharged several hours later. During the time we were being poked, prodded, x-rayed and tested; my mom looked up from her bed and said, “I’ve got a new saying for the family when we get into a mess. Before now, our first responses were usually either ‘boogers’ or ‘well, ain’t this a bunch.’ Now, we need to say ‘Be strong and don’t be afraid ‘cause God is with you.’” Then the smile broke out on her face and I knew we’d all be okay. 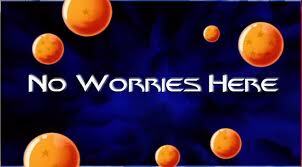 No more worries. It goes without saying that we learned that our community is full of good people this weekend. From all the people rushing to get us out of the car, making sure my mother was taken care of, giving us water and paper towels to clean up while we waited, the Henry County Police, Station Number 9 paramedics and EMTs and the excellent care from the Piedmont Henry Hospital ER staff, we were well taken care of. God loves us all and wants the best for us, if we just trust and believe. If we do this, then we will truly have no worries. And for today my friends, this has been the gospel according to Jimmy. “I’m not going back, I'm moving ahead, I'm here to declare to You my past is over. This is my new “go-to” song. My life-song, so to speak. One comment that people have always made about my writing is that I tend to be very transparent; very honest about what I’ve gone through and where I am. So, today brings me to another transparent moment that I need to share. Contrary to what you might think, I do not have life all together. I am not some super-spiritual guy who knows what God wants and lives every day with a holy cloud following me around with little birds singing hymns and praise songs around my head. When it comes to things spiritual, I have many faults and failures. If God did not have the grace that He does, Jimmy would have been lost long ago. Do I read my Bible every day? Nope, and I am sorry to admit that, but it is true. I read it often, but it isn’t necessarily every day and I am working on that. Do I tithe? Well, yeah. That is a biggie with me, and I do tithe, however occasionally I get behind and catch up rather begrudgingly. I could go on and on, but need to get to the point of this tome. My personal walk with God has been suffering for a few years now. And it’s time to get back on track. I allowed circumstances to dictate my faith-walk and relationship with my God and I’m not a better person for it. Just a weary traveler and pilgrim. There are days when I feel as if I have lost my way and other days when I have not cared if it was lost or not. Here comes the part that is important to me and to you. For a period of time, I was in a place that should have been one of love and acceptance; however, it was a place where I was lied to and lied about. It should have been a place of humility and guidance; however, it was a place of manipulation and ego. It should have been a place where growth of skills and abilities was nurtured; however, it was a place where mine were slowly squelched until there was no place for them. Slowly, over a period of time, I allowed the joy of my salvation to be taken away. And, on the inside, I cried and reached out to God, but could not find Him because I had allowed circumstances to dampen my communication and love for Him. And, then in time, I didn’t care any longer. Over a period of time, when I was no longer in this place, I began to feel some stirrings in my heart and soul which I knew was God calling me back. I listened and took a few steps. Then, more stirrings and a few more steps. Little by little, I began the walk home. But, it was a hard journey because there was so much heavy, heavy baggage that I continued to drag behind. This baggage has continued to hold me back in various degrees in various degrees. I have wanted to hurt as I was hurt and to cause the sleepless nights that were given to me. Basically, I wanted revenge. Yeah, I know this is against all things scriptural and Christian, but that’s what I felt that I needed in order to be free. No more. I must move on and quit looking back. I have to continue growing in Christ and using my gifts and talents for His glory as much and as often as I can…..wherever I can. I must depend on my faith and not my feelings to live. I must not compare myself to others, because I will be lacking. Christ is the one to whom I should look for, not any other person. I am finding the joy of my salvation again, and not let anyone or any circumstance steal my joy again. And it’s working. As with Jacob of old, I have pitched my tent where it needs to be. I’m shaking the dust off my feet. And I’m reading my Bible and for now, not books by a lot of different people who have their own take and ideas about the scriptures. All I need now is my Bible and God. He’ll tell me what it means and what I should do. Now, for my encouragement to you. Don’t make the mistakes I did. If you are in a situation, a relationship or circumstances where you are not growing in Christ, where you are not growing personally or spiritually, where you feel squelched and unimportant to the whole, then get out. Find yourself a quiet place and reconnect with God and ask for His guidance. Don’t lose your Joy! Please pray for me as I continue my journey (which, you may remember, began back at Lent), as I will be praying for you who may read this.